"Mike helped us buy our first home here in Moncton. We would not have gotten the mortgage if Mike had worked so hard and guided us through the whole process. We knew nothing about what was needed. Buying your first home is not for the faint of heart, you have to have some kind of knowledge going in. We knew nothing!!! Mike was patient with us and answered all questions we asked. Our closing date is in 9 days! I would highly recommend Mike and his team because they will bend over backwards to get you your house! Mike, Let me know when you are going to finance vehicles!! I'll be first in line!! Thanks again Mike and Laking Financial!!!" "Thank you Laking Financial! Mike goes above and beyond to make things happen! I've had my mortgage with PCF for 10years, and also worked for them for 8years, and had no plans in leaving them. But, they were not able to help me the way Mike could! This is a big change for us, but I trust Mike will take good care of us and looking forward to future business. Thanks for the smooth and fast process! Thanks Mike!" "Cannot thank you enough for everything you have done for us. :)"
"Thank you to Mike for all his help and guidance while purchasing my first home! I had spoken to other lenders and they only wanted to discuss what THEY thought was the best route to go. Mike sat down with me to lay out all the options and then we discussed what would be the best option for ME. Mike was very knowledgable, flexible and patient...I couldn't be happier with how things went!!" "We were excited and nervous about buying our first home, Lori Wheeler and the Laking Financial team helped us through the process. They went above and beyond, getting us the best rate possible; and within a couple of hours we were approved and ready to sign our new mortgage papers! We would highly recommend Lori and Laking Financial to our friends and family! Thank you!" "I was excited but nervous to buy first home as it was my first big investment. I contacted Laking Financial and spoke with Mike. He explained how the process went and from there, through all of his hard work, I became a proud homeowner. Mike walked me through everying and the service and rates were great. I highly recommend anybody to Laking Financial." "Mike helped us get our first home and made the process so easy. He was able to get us an amazing interest rate without the hassle of negotiating with the banks. I will definitely use Laking Financial for our next home purchase." "I had such an amazing and wonderful experience. Creative and personal touches made such a difference"
"I re-financed my home with Mike a few years back and the experience was top notch. He made the process so easy and he clearly understood all of my needs because my wife and I are 100% satisfied with the result. Who can complain when your saving thousands of dollars and shortening your mortgage! There is a light at the end of the tunnel...just ask MIke! Thanks again Laking Financial...you have a customer for life!" 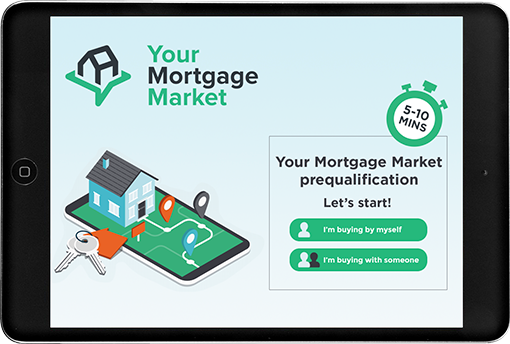 "I had great service from Laking Financial.....Jody and Mike are both awesome to deal with...."
"We wanted to get a mortgage through our bank but came across your website and saw the benefits of using a broker instead. Are we ever glad we did. By using our home equity to consolidate our debts we saved over 700/month. It really was a life changer for us. We highly recommend Laking Financial. Thanks again."